Robert Langreth writes in Forbes that Forbes Was Wrong On Monsanto. Really Wrong. Forbes made Monsanto the company of the year last year in The Planet Versus Monsanto. I know because I wrote the article. Since then everything that could have gone wrong for the genetically engineered seed company….has gone wrong. Super-weeds that are resistant to its RoundUp weed killer are emerging, even as weed killer sales are being hit by cheap Chinese generics. An expensive new bioengineered corn seed with eight new genes does not look impressive in its first harvest. And the Justice Department is invesigating over antitrust issues. All this has led to massive share declines. Other publications are making fun of our cover story. Maybe Forbes should improve its "invesigating" [sic] skills. As recently as late December, Monsanto was named “company of the year” by Forbes magazine. Last week, the company earned a different accolade from Jim Cramer, the television stock market commentator. “This may be the worst stock of 2010,” he proclaimed. I remember that! The month after Forbes did that, Covalence did a survey that ranked Monsanto the least ethical company in the world. Worse than Philip Morris, Chevron, or Halliburton! About that time we discovered Monsanto Corn Causes Liver and Kidney Damage in Rats, and that Monsanto's GM soy causes sterility and five times higher infant mortality in hamsters. Meanwhile, the U.S. Department of Justice was investigating Monsanto's seed business. At least seven U.S. states started their own investigations, and later the U.S. EPA fined Monsanto $2.5 million for selling seeds illegally in Texas counties where they were banned. Since then we've learned that Pesticides Linked to ADHD. Specifically organophosphate pesticides. Like Glysophate (RoundUp). And that indicators of pesticides, including organophosphates, are found in the urine of 95% of school children. We already knew that Glysophoate causes birth defects in humans. Anyway, could all this bad news have some effect on Monsanto's share price? 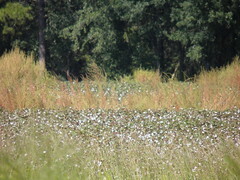 The agricultural giant was found to have been selling genetically modified cotton seeds without labeling them as such. Between 2002 and 2007, Monsanto's seeds were illegally sold in several Texas counties where the seeds are explicitly banned. But that didn't stop Monsanto from bamboozling buyers into purchasing the illegal seeds. Here's the bad news: Monsanto's market cap is $29.5 billion, so the fine is less than a hundredth of a percent of that. Still, the fines keep going up. Maybe eventually they'll get big enough to sting. 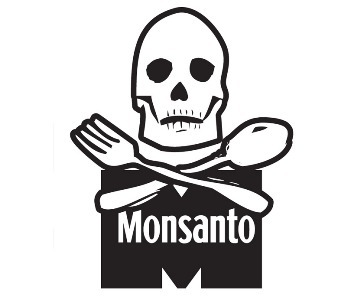 The state investigations add to pressure on Monsanto. The US Justice Department is investigating the company's marketing practices, and DuPont Company has accused Monsanto of anti-competitive practices in licensing litigation. And Monsanto's stock price is down more than 30%, from $93.35 in May to a 52 week low of $63.75 Friday. The Justice Department began an antitrust investigation of the seed industry last year, with an apparent focus on Monsanto, which controls much of the market for the expensive bioengineered traits that make crops resistant to insect pests and herbicides. 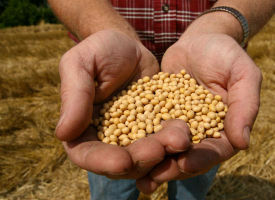 Critics charge that Monsanto has used license agreements with smaller seed companies to gain an unfair advantage over competitors and to block cheaper generic versions of its seeds from eventually entering the market. DuPont, a rival company, also claims Monsanto has unfairly barred it from combining biotech traits in a way that would benefit farmers. “We were the first out of the blocks, and I think what you see now is a bunch of people catching up and aggressively competing, and I’m fighting with them,” Mr. Grant said. He said farmers chose the company’s products because they liked the results in the field, not because of any untoward conduct on Monsanto’s part. 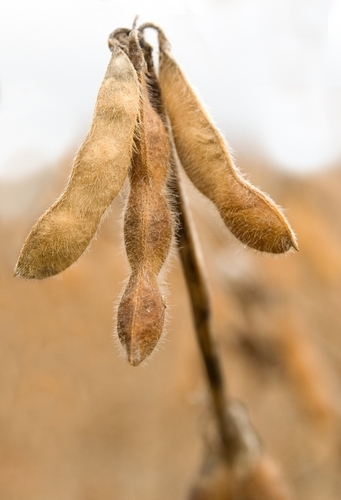 Jan. 14 (Bloomberg) -- Monsanto Co., the world's largest seed producer, said the U.S. Justice Department formally requested information on its herbicide-tolerant soybean seed business as part of an investigation. 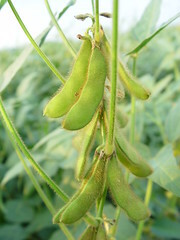 ...for farmers such as Lowe, prices of the Monsanto-patented seeds have steadily increased, roughly doubling during the past decade, to about $50 for a 50-pound bag of soybean seed, according to seed dealers. Many farmers are fed up with Monsanto's ruthless use of litigation. All over the United States, the wind is carrying Monsanto's genetically altered seeds into neighboring fields. Monsanto regularly sends out investigators to visit farms and to test whether any Monsanto strains have shown up on those farms. If they have, then Monsanto proceeds to sue the living daylights out of those farmers. They don’t have to be more susceptible to crop diseases. They have extremely low genetic diversity, so a disease that strongly affects that strain of plant will be able to spread over millions of acres of nearly identical targets. This is exactly what happened to the Irish during the potato famine. The Inca, who discovered the potato, had thousands of varieties. Some resisted blight, some resisted insects, others performed better in dry years, etc. Monoculture Monsanto cotton crops have already failed in India.